Dot London, the official domain name for the capital and an alternative to ‘.com’ and ‘.co.uk’, has launched a new interactive portal on makeyours.london to help showcase the small businesses using Dot London web addresses and empower those looking to set up their own business in London. A survey recently commissioned by Dot London found that 43 per cent of Londoners have had an idea for a business that they never followed through with. Some of the factors that hold people back include fear of failure, lack of connections and lack of skills. Dot London’s new business portal hopes to stifle that trend. 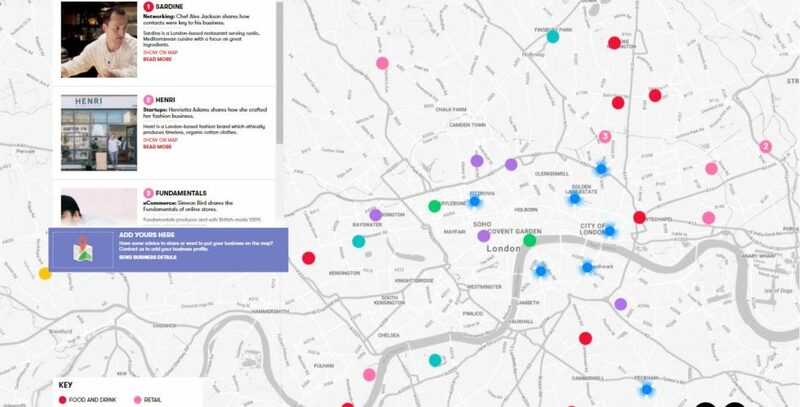 The portal includes an interactive map of London highlighting businesses across a number of sectors, including retail, food and drink, property and venues, who are using Dot London web addresses. It additionally features case studies from active London-based small businesses giving advice to their peers about key issues, such as networking, marketing and ecommerce. Some of the inspiring businesses giving their fellow Londoners top tips include: family-run personal training gym, The Fitting Rooms; independent ethical clothing label, Henri; and Southern France inspired restaurant, Sardine. Prospective entrepreneurs visiting the portal will have the chance to get advice on some of the more fundamental parts of setting up a business, such as creating a business plan, how to finance your business and choosing a name that best reflects your brand. All businesses with an active Dot London web address can register and feature on the portal, free of charge. Visit makeyours.london/discover to find out more about the Dot London Online Business Community Portal.